(MENAFN - Muscat Daily) Muscat- An Omani author has created history for being shortlisted for one of the biggest literary fiction awards in the world - the Man Booker International Prize for 2019. Jokha Alharthi's bookCelestial Bodies , translated from the original Omani novelSayyidat al-Qamar , has been shortlisted from among 13 books that were previously longlisted for the prize. Jokha's achievement is extraordinary as she is the first writer from the Gulf to have been longlisted. And, getting shortlisted is unprecedented for any writer from the Gulf. This year's Man Booker International Prize shortlist features six books translated from five languages, hailing from five countries and three continents, but only one male writer alongside five female authors and an all-female list of translators. 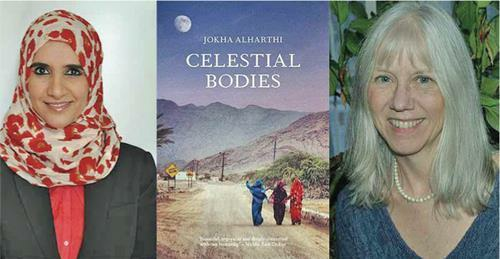 'We're thrilled thatCelestial Bodies by Jokha Alharthi, as translated by Marilyn Booth, has been shortlisted for the Man Booker International Prize for 2019,' said Sandstone Press, the publisher. This year's stories include the pilgrimage of a lecturer on beard fashions over the pine islands of Matsushima, a tale of Colombian conspiracy theories, and an environmental whodunnit with a cast of eccentric characters. Family connections and history are also present in the coming-of-age account of three Omani sisters, the story of three children of ex-militants overcoming Chile's complex past, and an evocative narrative of France from 1941 to 2006 which blends the personal and the collective to present memories of a generation.